[London, 23 October 2018] IT Europa and Angel Business Communications announced today that they will jointly be staging the third annual European Managed Services & Hosting Summit on 23 May 2019. The event will bring leading hardware and software vendors, hosting providers, telecommunications companies, mobile operators and web services providers involved in managed services and hosting together with Managed Service Providers (MSPs) and resellers, integrators and service providers migrating to, or developing their own managed services portfolio and sales of hosted solutions. According to Gartner research quoted at last month’s UK Managed Services & Hosting Summit the Managed Services sector continues to grow at about 35%, but the impact of new technologies and changing buyer behaviour in the face of evolving requirements is creating challenges for both vendors and MSPs alike. Under the theme of Creating Value with Managed Services, the European Managed Services and Hosting Summit 2019 will provide insights into how the market is changing and what it will take for MSPs to succeed as it evolves. Specific areas addressed will include the emergence and impact of Artificial Intelligence (AI) and the Internet of Things (IoT), the growing importance of security and compliance, trends in service delivery, and how to create value both within an MSP and for its customers. The European Managed Services & Hosting Summit 2019 is a management-level event designed to help channel organisations identify opportunities arising from the increasing demand for managed and hosted services and to develop and strengthen partnerships aimed at supporting sales. 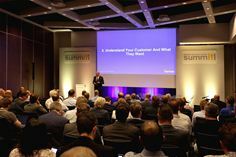 Building on the success of previous managed services and hosting events in London and Amsterdam, the summit will feature a high-level conference programme exploring the impact of new business models and the changing role of information technology within modern businesses. These conference sessions will be augmented by both business and technology breakout tracks within which leading vendors and service providers will provide further insight into the opportunities for channel organisations looking to expand their managed services portfolios. “The European Managed Services & Hosting Summit is the leading European managed services event for the channel and provides a unique opportunity for vendors, VARs, integrators and service providers to come together to address the issues and opportunities arising from the surge in customer demand for managed services and hosted delivery models,” says Bill Dunlop Uprichard, Executive Chairman at Angel Business Communications.